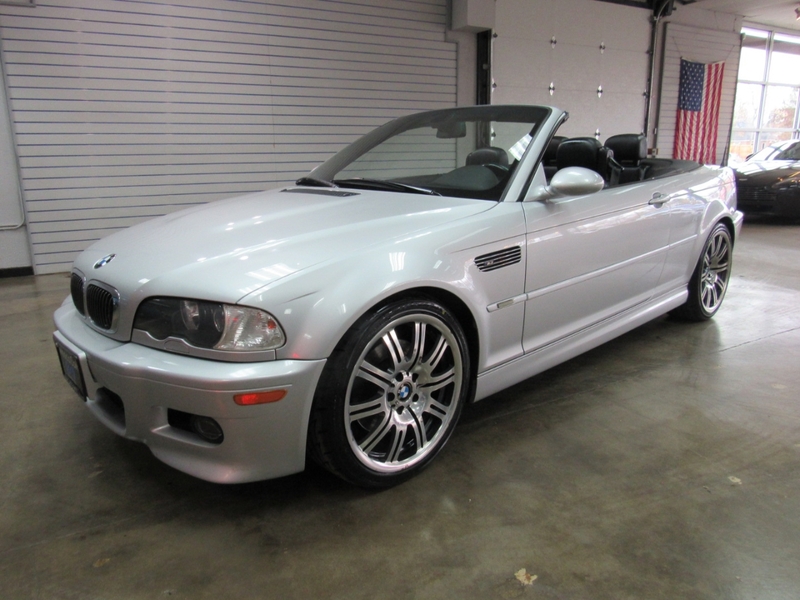 Used 2005 BMW M3 Convertible for Sale in Denver CO 80220 Weisco Motorcars, LTD.
2005 BMW M3 Convertible done in Silver over Black leather. This M3 had an MSRP of $64,945 when new with options like: Cold weather package, Lumbar support, Xenon headlights, Harman-Kardon sound, 19'' Alloy wheels, sequential manual gearbox, and much more. The body and paint are in good shape and show well for a car that is over 10+ years old and has new tires on the 19'' BMW M-wheels. The inside is also very clean with little wear on the seats plus has not been smoked in. Call Weisco Motorcars for more info or to set up a time to stop by for a look over this BMW M3.